In southern China, roast goose is a variety of siu mei, or roasted meat dishes, within Cantonese cuisine. It is made by roasting geese with seasoning in a charcoal furnace at high temperature. Roasted geese of high quality have crisp skin with juicy and tender meat. Slices of roasted goose are generally served with plum sauce. 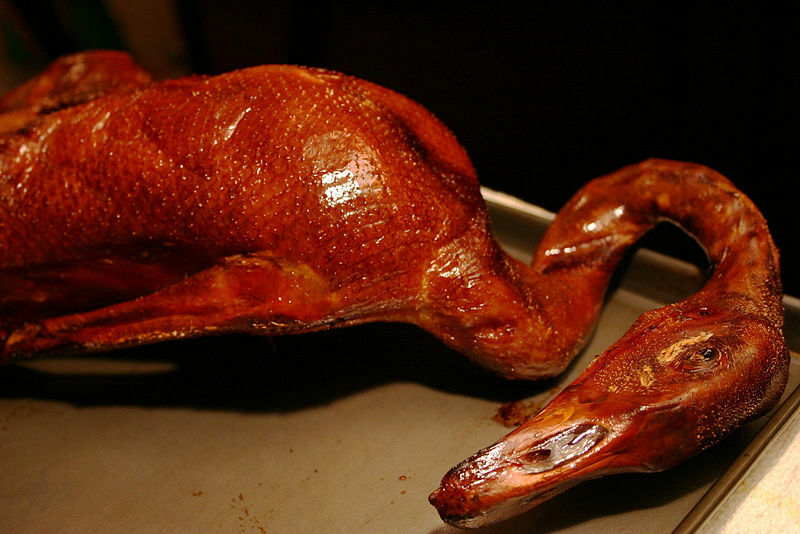 Roast goose, as served in Hong Kong, is no different from its counterpart in the neighboring Guangdong Province of southern China, but, due to its cost, some Hong Kong restaurants offer roast duck instead. In Europe, German-speaking people roast geese traditionally on appointed holidays (see Christmas goose).